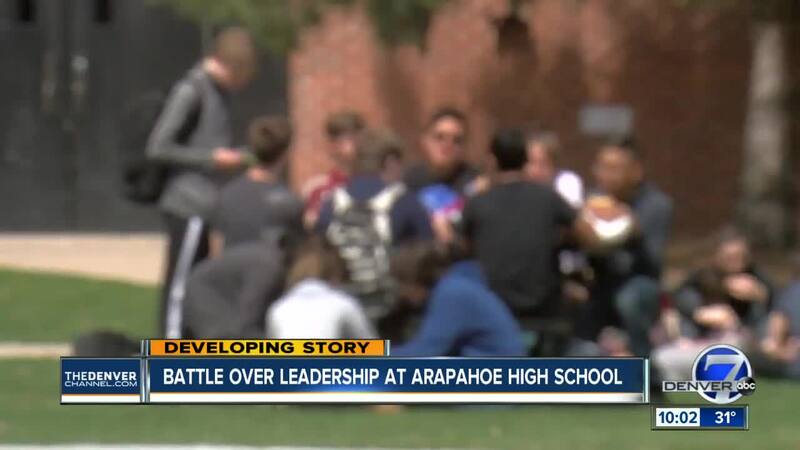 LITTLETON, Colo. -- Conflicting views over the future of leadership at Arapahoe High School were on display at a school board meeting Thursday evening. Parents and teachers went before the board to defend the school after attention surrounding a recent survey that takes aim at current leadership. The group behind that survey, Arapahoe Community Coalition, also went before board members to express their concerns and ask for a meeting to discuss the results of that survey. "This is a serious matter, we’re talking about a climate where two teachers have been arrested, the rash of suicides, everything that has happened over the past five years," said Jessica Peck, an attorney representing the Arapahoe Community Coalition. Peck said the group is made up of parents, alumni and teachers. She estimates about two-dozen people are engaged in their mission and says that number is continuing to grow. She told that board that approximately 1,200 responses have been collected from the survey. Peck hopes to present those results during the April 25 board meeting or during a special meeting. "It was designed to push a specific agenda, the questions of that survey, it was a poorly constructed survey," said one parent who spoke at the meeting.